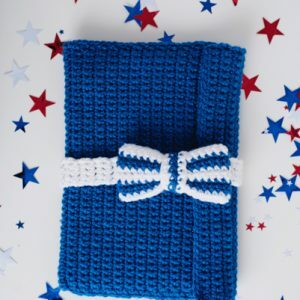 Take your tablet safely on the go this summer with this blue and white case. Easily customize this tablet with your favorite colors and finish it off with a bow. 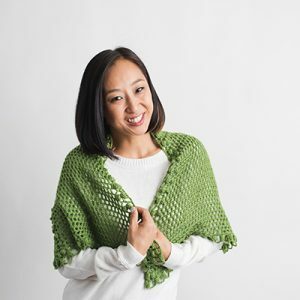 Adella is a beautiful half circle shawl that is worked from top down. In fact, it is more of a three-quarter shawl which will stay on the shoulder because of the shape. 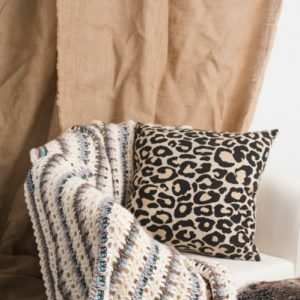 To create an eye-pleasing look, popcorns have been added at points of increases every other row until shawl is at the appropriate length. The bottom edge is a row of popcorns and to complete the look. Crochet a set of three crochet baskets in graduating sizes. Each has a thread granny square with varying flowers added. The baskets can be stacked one inside the other when not in use. 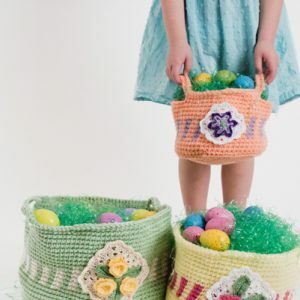 Perfect for Easter morning, these baskets will be well loved by all. 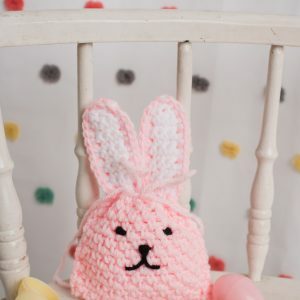 Give an Easter gift in style this year with this cheery crocheted bunny gift bag. Fill it with goodies, then draw it closed with yarn or a ribbon. 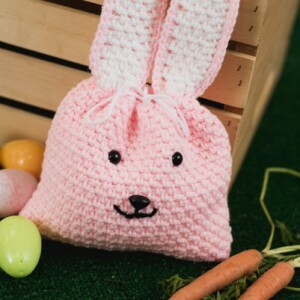 Tuck away some treats or hide a special gift inside this sweet little gift bag that features bunny ears and an adorable face. This mini version is just like the original Sunny Bunny Bag from our April 2017 issue. We can’t decide which version is cuter! 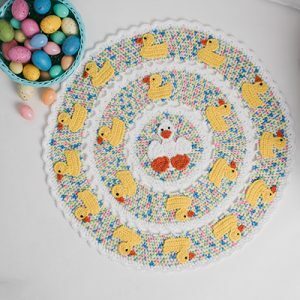 This adorable blanket, which commemorates the iconic childhood game, Duck, Duck, Goose, is sure to make your little one smile. Get ready for the most adorable tummy time session to date! The Modern Lace Baby Blanket grows up! 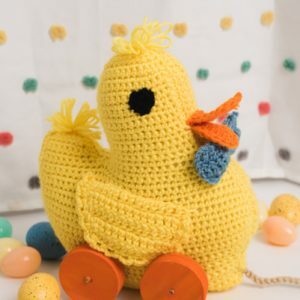 A heftier yarn and a larger size makes this a great choice for your grown up baby or for yourself. 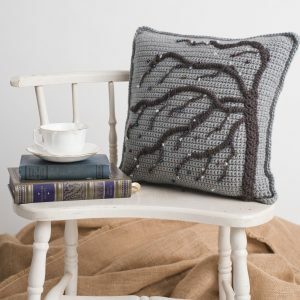 Cascading beads frost the limbs of a weathered tree to create a wintry themed pillow. As crocheters, we always need another pretty basket to hold our current work in progress. 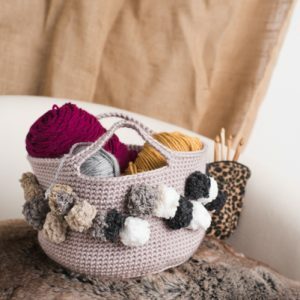 This soft, round basket is perfectly sized to hold yarn and hooks — and the handles make it easy to take along with you wherever you go.